This news item was posted in Pakistani News, Sports category and has 1 Comment so far . It is high time for President Asif Ali Zardari & PM Makdoom Yousuf Raza Gillani to accept the popular demand of the general public for immediatelly removing the Chairman PCB. This decision will give tremendous relief from the daily agony of Pakistan cricket being touching one low after the other. The nation has seen enough of TAMASHA of Pakistan cricket starting from NZ/AUS tour, to this day in England series. If the chairman PCB possesses any sembelance of self dignity, he should himself resign, knowing fully well, that currently, he is the most un-popular person in the country, bringing bad name to the PPP government. And the best person for the next appointment as Chairman PCB, is Mr. Asad Umar, Chairman Engro Corporation. Yeh its write time to remove pakistan chairman, cause what is he dowing sitting in the chair. I think he is not a blind that he can not see any thing.The team selection was not right the bollers are dowing well form the aus series and the batsman are getting faliure all the time, Pcb should choose experienced batsman specially for the tese match series. 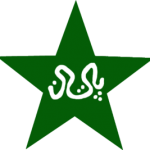 PCB should stop thies BAN system cause it breaks the unity in the team.